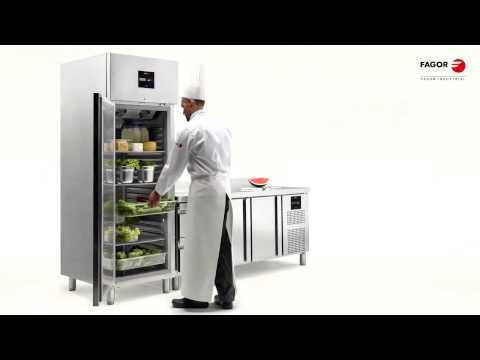 Globe, the new refrigeration generation, has been designed with the kitchen professional In mind. More efficient refrigeration technology, guaranteeing optimum food conservation at the lowest cost. ADVANCE is our line of technologically innovative cabinets, which seeks to fulfil the expectations from most demanding users. Our ADVANCE counters, with a depth of 700 mm and suitable for large size Gastronorm containers have been designed to improve your daily working conditions by providing a more efficient, profitable and sustainable product. Adaptable to every single space and need, we provide Snack size CONCEPT+ cabinets, with similar features and identical quality standards. Our CONCEPT cabinets in their Gastronorm version offer a wide and diverse range of quality products to suit every business´s needs and requirements. Our 700 mm deep CONCEPT+ range with capacity for Gastronorm containers provides one of the widest refrigerated counter choices in the market. We provide a wide range of versions and options to suit every user’s needs with a robust, ergonomic, functional and easy to clean product. Our 600 mm deep CONCEPT+ range with Snack dimensions offers a wide choice of refrigerated counter worktops to fit into reduced spaces with a robust, ergonomic, functional and easy to clean product. As a response to market requirements, we have simplified our blast chillers and freezers produced an economic CONCEPT range. This allows us to offer this essential technology as a key factor for the right management of all kinds of businesses. Our CONCEPT+ blast chillers and freezers come in different sizes to suit every user’s needs. All of them, from the small counter top blast chillers to the large size freezers with capacity for GN2/1 trays, are fitted with an lectronic control system entirely developed by Fagor Industrial.